Vacation rental house. Sleeps 11, 6 bedrooms, 3 bathrooms. No pets allowed. Enjoy your vacation in our island paradise -a spacious, clean and lovely beachfront home located in the center of one of the world's best beaches. With 76 feet of private beach frontage and plenty of space, Kalaka is the perfect spot to enjoy the charm and aloha of Hawaii with your family or closest friends. 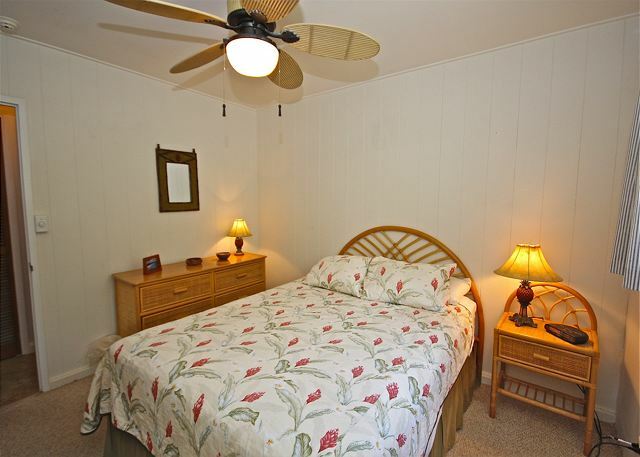 The home was remodeled in 2001 and is fully furnished with everything to help you live, relax, and entertain in style. 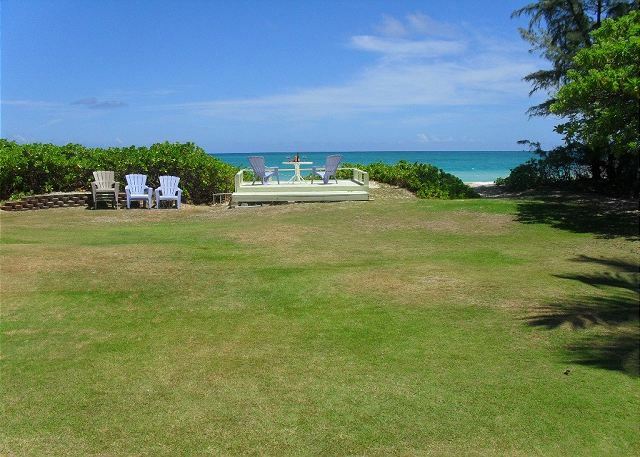 The home has spectacular views of the Kailua Bay, the Mokulua Islands and the Koolau Mountains and is a home for those who truly love the beach. Nearer to the ocean than many other nearby houses, the Pacific Ocean can be seen or heard throughout the home. Many of the homes in this neighborhood are advertised beachfront but actually are down the road and through a trail to the ocean. Here you can start your morning with fresh ocean breezes and a bright red sunrise over blue tropical waters. A quick yet challenging hike to watch the sun rise from the Lanikai "pillboxes" is 5 minutes away. Whether your idea of fun is action packed ocean sports or mellower pursuits, Kailua Beach truly has something for everyone. 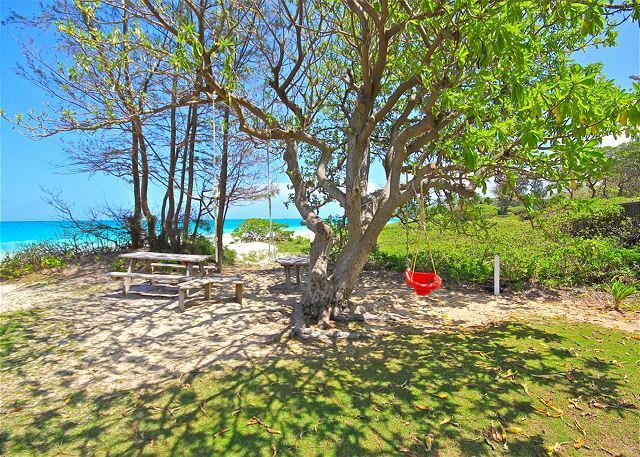 Steps outside your door enjoy a lazy stroll on the sparkling white sand beach, a swim in the ocean, challenging water sports, or simply lounging on your own deck beneath coconut palms with a cool drink watching the it all. In the evenings, the bay results in truly spectacular sunsets as well as the moonrises for which Kailua is justly famous. Cooking your own fresh dinner is easy on the gas grill or in the fully-equipped kitchen. In 2011 we added a granite island and upgraded the appliances which makes the kitchen even more inviting. The gas grill is easily accessed through a side entrance near the kitchen. The kitchen usually has a selection of spices and non perishables like tea and rice and we recommend checking out the kitchen before going to one of the nearby grocery stores. There are also many unexpected items such as small appliances you may not expect so look around - it is likely here. Alternatively, visit one of the many nearby bistros or take out restaurants for anything from quick bite or to a gourmet feast. There are many dining options in Kailua. A gated driveway leads to your own private sanctuary nestled on around one-quarter acre. The home is spaciously laid out under one roof and is six bedrooms. The main living area contains a master suite with king bed and bathroom. There is also a room with a queen, a room with two twins, and a room with a single twin. 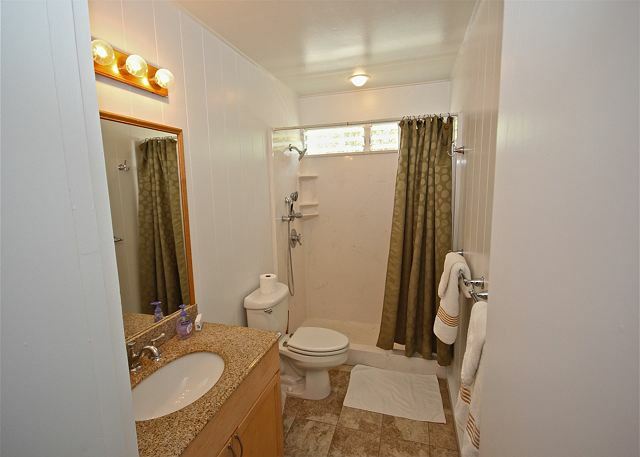 The last two bedrooms are "en-suite" with a shared full bath as well as a second dining roomand living area with another TV as well as a small beverage center and wet bar. The construction of the home is such that this area is quieter as the rooms face the front yard instead of the ocean and are acoustically isolated. This is the ideal place for a power nap, a family with younger children traveling with a bigger group, teens that wish to stay up late, or older guests who want to go to bed earlier. Although the area can be entered from a separate side door, the two bedroom portion is NOT available to be rented separately and remains vacant when a small family rents the house as a late booking. The house is clean and fully furnished. Free high speed internet is available. The full kitchen has everything needed and a selection of beach toys mats and boogie boards are available. Every bedroom has vinyl windows with 100% ventilation to let in the fresh air and ceiling fans for the few times breezes are light. This house was perfect for my family visit to Oahu. We had people in their 20's to my grandparents in their 80's. The house has the perfect layout for our group to spread out, and enjoy themselves. 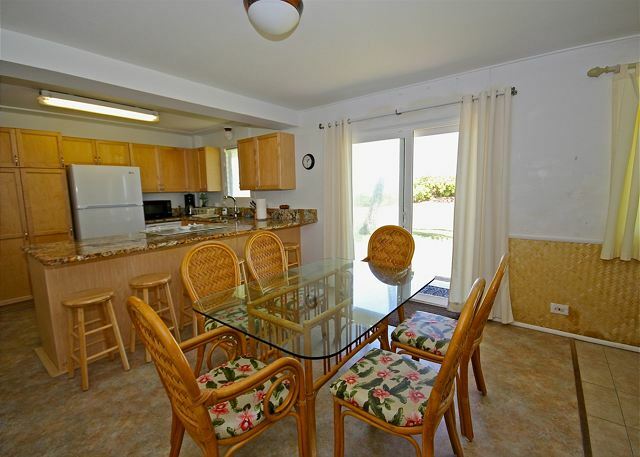 The BEST part is is being ocean front on Kalama beach! Hands-down one of the best beaches in the world, with amazing boogie boarding, beautiful beach walks, and great for sunny naps on the beach. It was a spacious and comfortable for family & friends to enjoy! It was a very memorable time for our family and especially for our mom. Thank God for this wonderful retreat getaway. 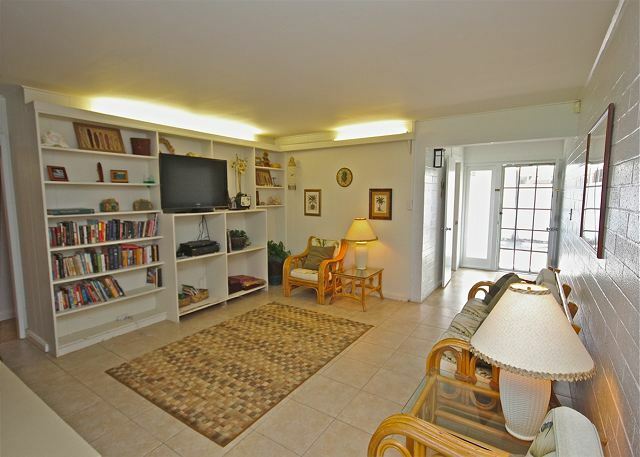 This home was spacious and the beach access was a bonus! The amenities were sufficient. And the rental agents were terrific! Would definitely return!! This was the right house, at the right time, in the right location for family and friends to both make and renew relationships. The atmosphere was very relaxing - easy island living. Mainland family and friends loved it as did we "locals". 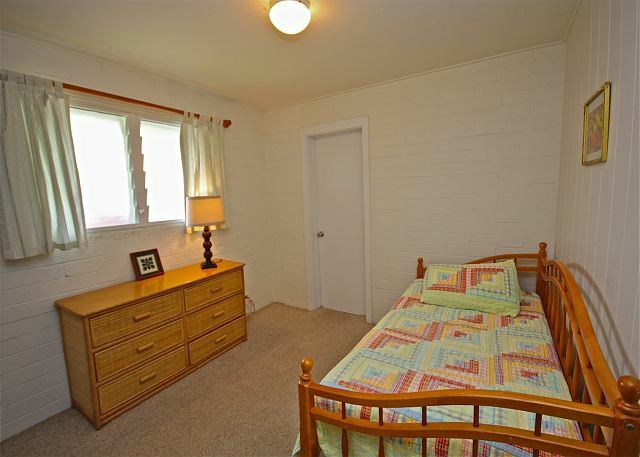 Plenty of rooms, plenty of space, and a good number of "toys". The fans helped when the tradewinds did not. The yard was great. Just a couple of suggestions: repair "the deck", clear out the "broken toys", update the "house book" (e.g. rules, maps, guides, etc.) add hurricane and tsunami information (e.g. local refuge / shelter location, siren test schedule, etc. ), be a little clearer about the limited parking. We enjoyed our stay at the Kalaka House Kailiua. Overall the quality of the place suited our needs. 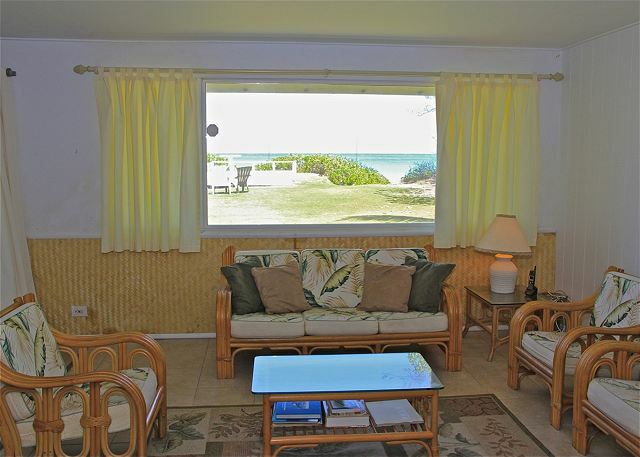 Our booking agent Leilani Cook at Aloha Beach Front Rentals was great to deal with. She was very attentive and got back to us with our questions in a very prompt manner. 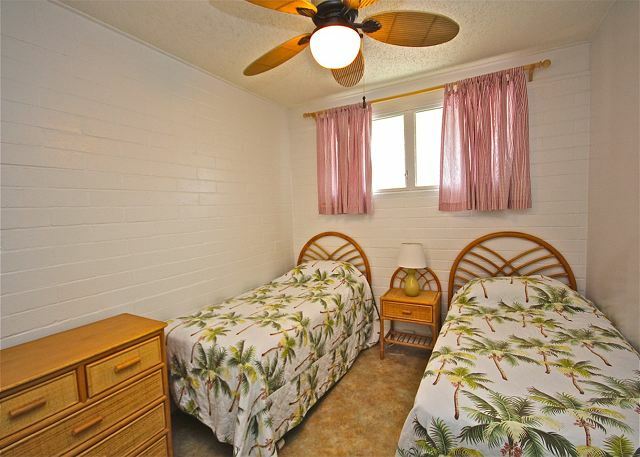 We also dealt with the property Manager Kepola which was a little disappointing. She was not there to meet us at our arrival but did send someone else. Also she was not there at checkout so we let ourselves out but we did talk to her on the phone. There was a problem with the WiFi and Kepola was not as attentive as we thought to fix the problem, took two days to fix. Overall the condition and cleanliness was good but there were 4 lights that required new bulbs and the shower handle in one on the bathrooms broke and could not be repaired during our stay. Other than these minor issues, our stay was slighty above average. We probably would book again and recommend to friends but would want to deal with Leilani Cooh exclusively as she was great to deal with. Location is superb - right on the beach, and far enough from the busiest places not to be bothered by passers-by that much. Wonderful for the young kids in our party. Tropical Storm Flossie was in the vicinity and that made the first few days more humid than usual, which was uncomfortable at night due to no a/c (common in Hawaii due to high electricity costs). Home was well maintained and equipped. The management very helpful. Very enjoyable.